In readiness for WA Beer Week’s nine beer-filled days, which kick off with the Opening Gala in Freo tomorrow, the West Coast beer scene has been collaborating like never before. Three of Perth’s best beer outlets, the alumni of a well known brewery and one lurking pop-up bar are among those releasing unique beers in celebration of the best from the west. For a couple of the collabs, the theme runs deeper than your normal brewery collaboration too, while many of the beers have been aged in barrels sourced from other Western Australian producers. The proliferation of joint ventures – and the breadth of those involved – shows it's pretty tight out west, as Guy Southern discovered when he checked out the stories behind the beers. The Dutch Trading Co has enjoyed quite a first few months in operation: chosen as the only Australian venue to be part of Cantillon’s global Zwanze Day; snagging seventh spot in a Best Beer Venue in Australia poll; and winning the hearts and minds of Perth drinkers. But not one to rest on its hop-laden laurels, DTC has now collaborated with Brian Fitzgerald of Artisan Brewing for a WA Beer Week exclusive. This is a definite nod to the future brewing ambitions of the venue and was guided by ex-Homestead and now DTC brewer / barman Jackson Purser, who says the beer was a spur of the moment decision. “[Manager] Joel [Beresford] was purchasing some beer for DTC on a Friday afternoon. Through discussions, a collab was suggested and I drove down to Denmark [five hours south of Perth] to brew on the Tuesday and then back to open the bar at 3pm Wednesday," he says. Tyson Addy of Denmark’s Boston Brewery was kind enough to let the collaborators use his brewery for the day, where they created a 5.1 percent ABV Belgian Summer Ale, tweaked with chamomile and Riwaka hops, that they say represents the middle ground between a Belgian table beer and a bigger Belgian pale ale. Extempore, meaning "Spoken or done without preparation", will be released at the DTC during WA Good Beer Week and later at the DTC stand at the Fremantle Beerfest. 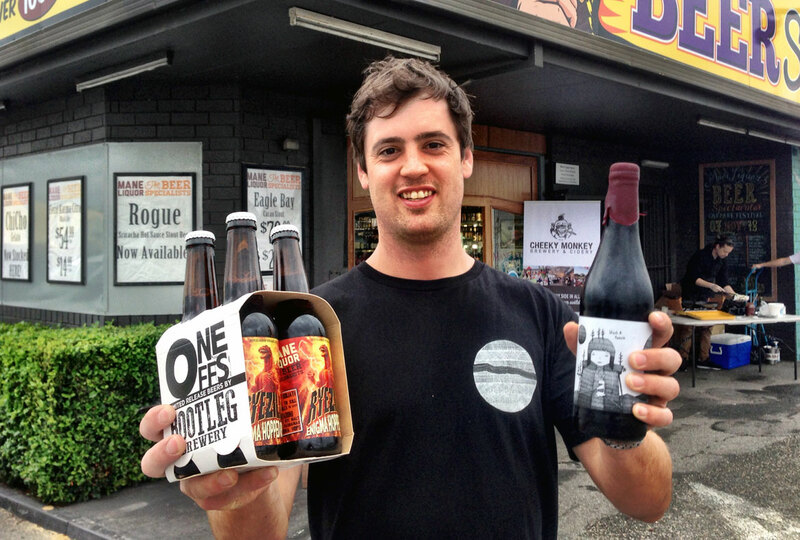 Elliot Moore (pictured below) and Josh Daley are the guys behind one of Australia’s best beer shops, Mane Liquor. However, after WA Beer Week 2015, if they’re so minded they could add "Craft Beer Collab Kings" to a shiny plaque by the front door. That’s because, not content with one Beer Week collab, the team is delivering two brand new beers and plus two rereleases that resulted from previous partnerships. The returning beers are Ryezilla, a 7 percent ABV rye IPA brewed with Enigma hops in conjunction with Bootleg Brewing, and Black and Tannin, the 2015 GABS collaboration with Eagle Bay Brewing. The new edition of Black and Tannin has been aged in Cabernet Sauvignon red wine barrels for even longer this time, the aim being to obtain a deeper barrel character. 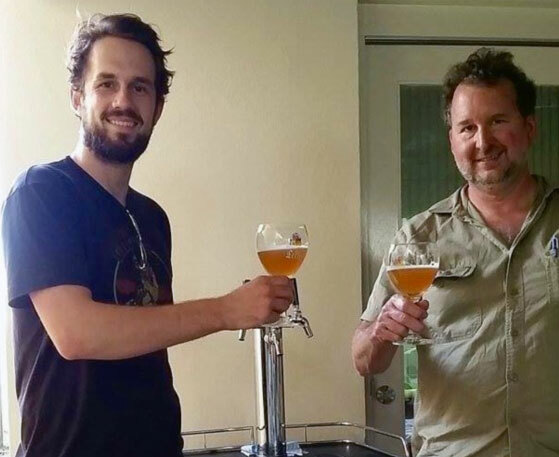 The first of the new Mane collaborations is a Thai Saison created with Margaret River’s Colonial Brewing. The lemongrass infused Belgian saison style beer is said to be equal parts dry, spicy and refreshing and will be released for the Mane Liquor Carpark Festival. And while it sounds refreshing at first, be warned: the 7 percent ABV could catch the casual drinker unaware. 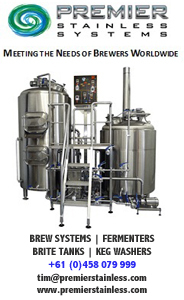 As for the background to the brew, Colonial brewer Paul Wyman started working at Mane Liquor when he first moved to Perth to study at the ECU brewing school around three years ago. The Mane team was taken by Colonial’s refreshing take on the saison style and wanted to tweak it for the modern drinker. So, while lemongrass is the primary adjunct, other Thai elements like ginger and kaffir lime may feature in the final beer via a “dry-herbing" stage. When Feral Brewing, Whipper Snapper Distillery and Mane Liquor posted a picture of an unnamed collaboration beer many gasped in excitement. The intrigue as to what the beer would be can now be put to a rest as they’ve revealed the beer is a barrel aged English barley wine. Not just any barrel aged English barley wine mind you: half of the batch was turned into Moonshine spirit that was soaked in the barrel before the beer was aged inside it for three months. The resulting 11 percent ABV beer has been named Babooshka Barley Wine after the Northbridge café where the beer was conceived, but it also plays to the multiple elements found within this complex monster. Only 600 litres of this beer will be available, the majority at Mane Liquor and Feral Brewing events during WA Beer Week. Not to be left out of the collab game, Cellarbrations Carlisle has launched a bold beer that looks to become an annual release. 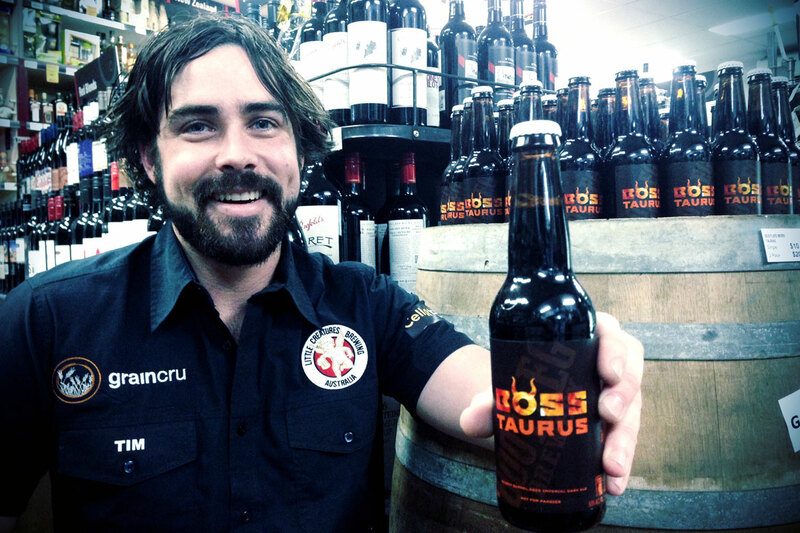 Boss Taurus is a play on the name of Margaret River’s most common bovine beast. There is, however, nothing common about this beer. The Imperial Dark Ale spent four months in an ex-sherry / whisky cask, developing into a formidable 9 percent ABV beer. Expect flavours of stewed dark fruits and sultanas along with lengthy oak tannins that should prove a brilliant match for a chunk of smelly blue cheese. With the help of Doreen Garces (Limeburners' Ambassador), Tim Hoskins (Cellarbrations, pictured) and Ryan Nilsson-Linne (Bootleg) were able to source the first barrel that has been released from the Great Southern Distilling Co. Given this has been a very small batch there are only 600 bottles available exclusively through the shop. This collab is the most limited of all the limited releases and possibly the most intriguing too. The story of the Cabin Fever Smokey Tart Red Yuzu Saison starts with Jackson Gwynne and Dan Mano’s Submariner pop-up beer bar. For the past year, the pop-up has been rising for one-night-only beer events in unusual venues around Perth including the Spadille Garage, a community motorcycle garage in West Perth. The relationships built out of these events led to further cross-pollination with the team from The Monk, Wendy Marinich from Mabel & Me and Brendan O’Sullivan of 3 Ravens. It’s the sort of venture that’s a classic example of Perth’s tight knit community, whether within beer, art or music: everyone seems to be connected with someone. The group finally settled on a 6 percent ABV saison featuring Yuzu after "nerding out" over beers. The focus was to create a one-off beer designed for food matching that should appear at The Monk during the week. Once we find out when, we'll let you know. This final collab brings together brewers past and present from James Squire’s Perth brewhouse, The Generous Squire, who joined forces to brew something entirely new. 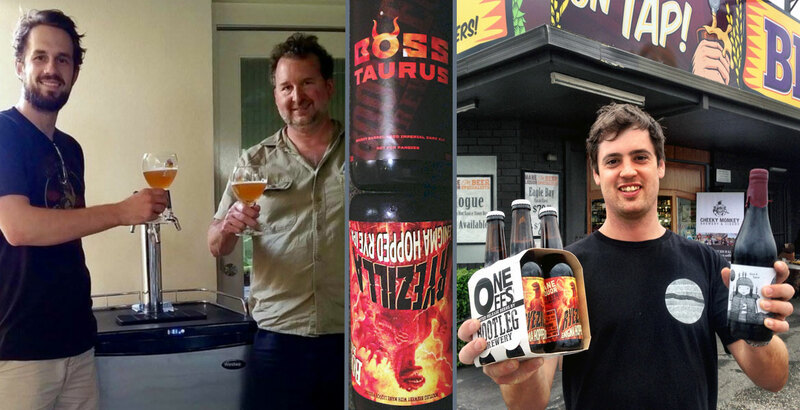 Brewers Rob Freshwater (James Squire), Ash Hazell (Barrow Boys) and Justin Fox (Colonial Brewing) each picked an ingredient that forms part of their core range of beers. US Mosaic and Citra hops met with dark malt and Belgian yeast for a beer that has been dubbed Masquer Ale. The mystery of the final product will be revealed at the free, masquerade-themed launch event on November 10, The Masquer...ALE Ball. WA Beer Week runs for nine days between November 7 to 15, 2015, and features Perth and Fremantle hubs. The Fremantle Beerfest is also part of the celebrations. About the author: Guy drinks and writes about beer, goes for a run most mornings and makes his own chilli hot sauce. Find out more via Goodtimes Craft Beverages, Facebook and Instagram.